Nobody can tackle IUU fishing alone: Will opportunities for global leadership be grasped? Those who doubted the potential of the European Union’s Council Regulation 1005/2008 (the IUU Regulation) to change the laissez-faire culture that has been prevalent for too long in respect of illegal, unreported and unregulated (IUU) fishing activities inside and outside EU borders have had plenty of food for thought over the past four and a half years. In the time since the IUU Regulation came into force, the yellow card warning system, followed up on occasion by a trade-suspending red card, have seen a significant change in the administrative practices of a number of fish producing countries. Most importantly, the IUU Regulation has placed IUU fishing high in the agendas of nations that had previously not been predisposed to delve into the issue. True, the regime is not perfect and there is yet much work to do to make a true dent in the global IUU trade. IUU fishing practices continue to cause vast losses to the worldwide economy (Eur. 10 Bn, according to the European Directorate for Maritime Affairs and Fisheries – DG Mare- which is equivalent to 19% of the reported value of catches worldwide). In addition, the destructive and insidious nature of IUU operations cause important harm not only to fish stocks and the marine environment, but also undermines every seafood producing fleet that plays by the rules. The ungovernable nature of covert IUU activities means that administrations that are keen to ensure sustainable exploitation have their work systematically undermined by the covert, dishonest nature of unreported captures. Millions of people depend on seafood for nutrition as well as work and income, not just in producing countries, but also through the processing, importation and distribution and retail of seafood products. Further, many of those involved in fisheries have close, even ancestral, cultural ties to the activity. In many regions of the world (including of course the EU) domestic fishery production cannot match internal demand, and imports from third countries have become a necessity. What this means, of course, is that the conservation and sustainable management of fishery resources is a collective, thoroughly intertwined effort of many actors and of very diverse nationalities. 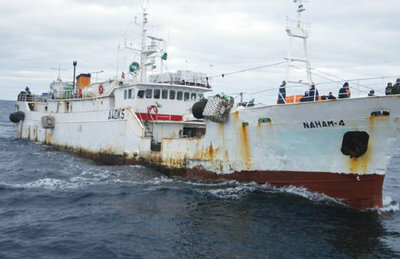 Nobody can tackle IUU fishing alone, irrespective of how much they may want to. Yet, not everyone wants to. Routine commercial narratives evidence attitudes where business as usual, and turning a blind eye to stock erosion and illegality creep, are rife. A good illustration of such attitudes was a recent comment made to the Thai press by the head from a national fishery association, asserting his view that the yellow card presented to Thailand over IUU fishing by the EU must have more to do with protectionism and political intervention rather than with the relevance of Thailand’s mismanagement of the considerable presence of IUU activity in their production chains (not to mention the serious mistreatment of people, including their trafficking and abuse, marring the Thai seafood industry). If a comment ever represented a lack of consciousness as well as conscience, then this is it. The interviewee’s suggestion that Thailand should seek to export to the Middle East, rather than put in an effort to clean up its act is sadly representative of a type of viewpoint that prioritises short-term, entrenched approaches that are not only ultimately doomed to failure, but which also represent a real risk for all administrations working toward long term, rational and fair approaches to seafood production and trade. It is clear that a sustained collective effort is needed in order to address and change such attitudes and get to the root of IUU activity. With this in mind, the Presidential Task Force on Combating IUU Fishing and Seafood Fraud has recently presented its Action Plan for Implementing the Task Force Recommendations has caused some degree of concern at House of Ocean. Whilst much of what is contained here is ambitious and commendable, it is striking that no mention is made anywhere in the report with regard to trade measure compatibility with existing programmes and regimes. In particular, coordination with the EU is only mentioned in the context of the Transatlantic Trade and Investment Partnership (T-TIP) agreement, the negotiations of which are still ongoing. No mention is made anywhere in the Action Plan of the specific measures adopted by the EU to combat IUU fishing to date, nor those adopted by Regional Fishery Management Organisations since the onset of the 21st Century. Perhaps the Task Force is reluctant to admit that the US has lagged behind in the development of IUU-specific trade measures? However, it now has a golden opportunity to seek convergence with existing regimes, to make a substantial contribution to their improvement and expansion, and to become a formidable co-architect and a leading engineer in the fight against IUU operations. To sacrifice such an important global role for the sake of less cooperative solutions may only serve to perpetuate the tragedy of our ocean. This entry was posted in Fisheries Governance, Illegal Fishing, Maritime Insecurity and tagged DG Mare, EU, European Commission, illegal fishing, IUU, IUU fishing, thailand, transnational crime, US. Bookmark the permalink.